Heligoland Seals have been extinct in Germany. This is the first year with 245 baby-seals! Read more about it here! Heligoland is a German island located in the Northsea 50 km away from the mainland opposite the mouth of the river Elbe. For about 10 years Heligoland seals were gone. Now they are back! 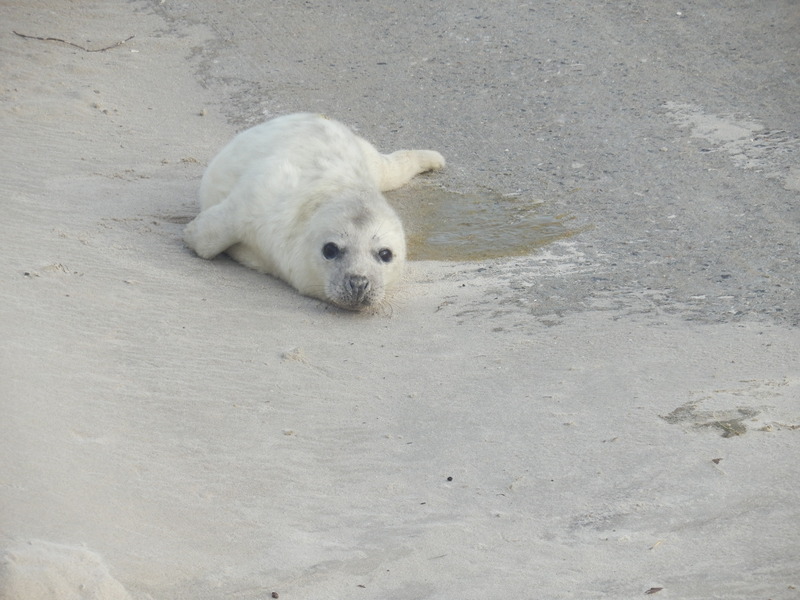 During the coldest months of the year, grey baby-seals are born on the shores of the Heligoland-Dune. Due to seal hunting and DDT (an insecticide used in the after war- 40s a lot) seals were extinct on Heligoland until 2001. The local fishermen had seen them as a threat to their livelihood, until the seals were declared a protected species and slowly started to return. 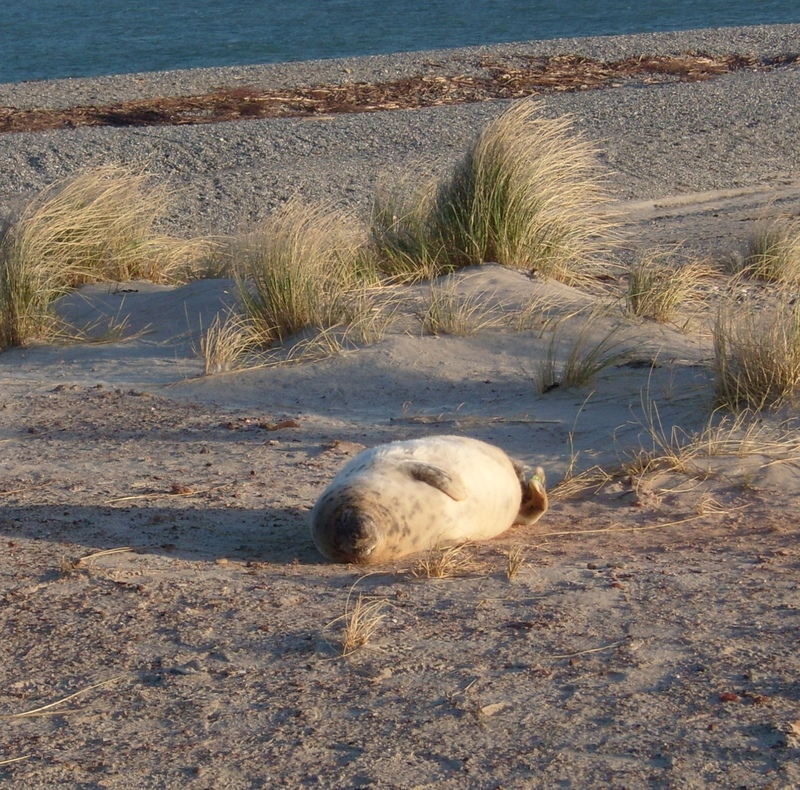 But the seals came back to the Heligoland Dune in 2001. Grey seals always return to the coast where they are born for the delivery of their own offspring. So the colony slowly grew again. This is the first year with 245 baby-seals being born here. Their white fluffy fur blends in with the sand of the beach, which makes them difficult to detect for the many tourists who come to admire them. While the fur keeps them warm, it is however not yet waterproof and the babies can’t swim with it for about the first 5 weeks. After the delivery seal mothers nurse their babies, stay in their vicinity and never catch any fish for themselves. They only go into the water to cool down. Their blubber – the thick fatty layer underneath the skin – insulates them so well that they would overheat if stey stayed out of the water for too long. The milk they produce is extremely fatty, about 50 %. The baby-seals gain 3-4 kg daily while the mother-seal looses 50-70 kg of her original 170kg weight during the 5 weeks of nursing. This baby will soon have to fend for itself. After about 5 weeks, the mother won’t return to her baby. The baby now weighs about 50 kg, it changed its fur to a waterproof one and is able to swim and ready to look after itself. It might wait a while for the mother to come and, getting hungry, will make its way to the water. It has not been taught how to catch fish, but will soon learn to feed itself. Two weeks later the mother will be ready to conceive again. The growth of the embryo will be stopped for another three months though until the mother has regained her weight. The dune is open for visitors and I am watching a little drama. A tiny baby seal, born 3 hours before, had not been nursed by its mother yet. It is looking weak, lying motionless in the sand. 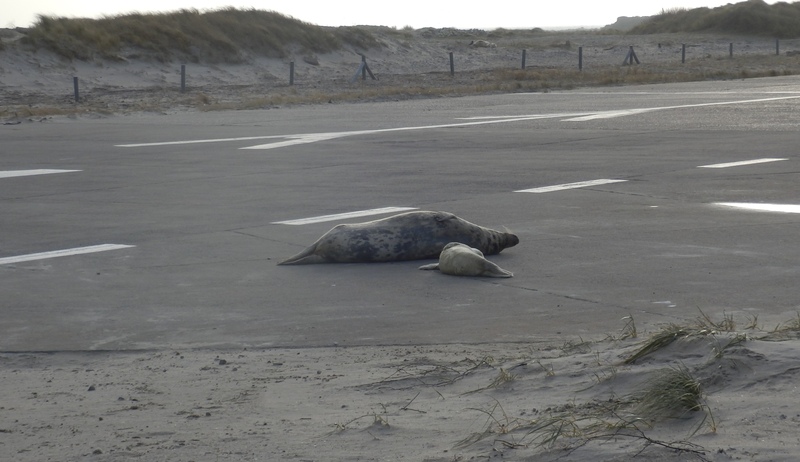 The members of the nature reserve organization “Verein Jordsand” , who look after the seal population on the Heligoland Dune, are keeping an eye on the baby and hope they don’t have to transfer it to the rescue station on the mainland. Where has the mother gone? As it turns out the mother is extremely nervous and very aware of the group of tourists nearby. Most grey seals here are quite used to people passing by as long as these follow the rules and stay about 30 m away. A photographer, however, unaware that he found himself in the way between mother and child kept the mother at bay. She attempted several times to come out of the water and crawl up to her baby, but fled when she saw him and other people close by. Finally a volunteer from the Verein Jordsand makes his way to the photographer and urges him to move. Then they close the beach for all visitors and the mother can nurse her baby without being disturbed. There is a small airstrip on the Dune of Heligoland, which is used by light aircraft to carry inhabitants and tourists to and from the mainland. 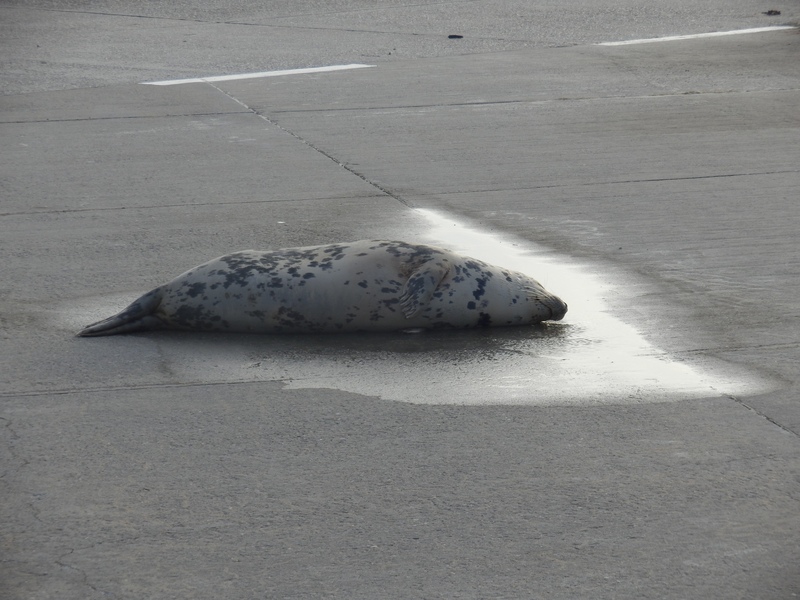 Mother-seal, cooling down in a puddle. 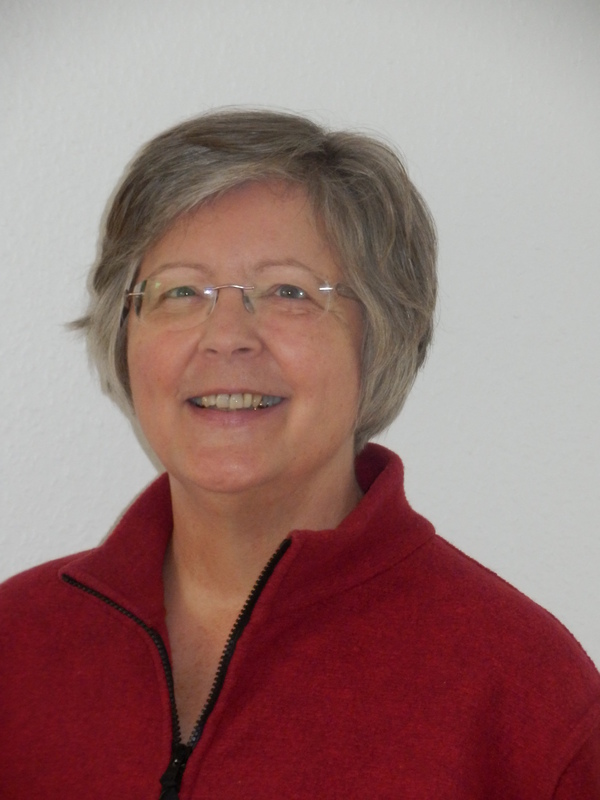 Christiane Michelberger is a blogger and retired doctor from Germany. On her Blog www.unterwegsmitbuddha.de ( Engl. on my way with Buddha) she writes about Buddhism in daily life. On top, she is a big fan oft the little German island Heliogoland and spends most of her time there.